Our Founder, Eric Goranson, CKD has been a fixture of Kitchen and Bath Design in the Northwest for over 20 years with over a thousand kitchens designed and sold. As A Certified Kitchen Designer since 2000 he has been seen on HGTV and the USA Networks as a Kitchen and Bath Designer. You might have heard Eric on KXL FM101 in Portland, KOMO Radio, and KIRO Radio in Seattle as a Kitchen and Bath Design Expert. When you mix solid design principles with incredible function an amazing completed project comes out the other side. Eric has brought his cutting edge design skills to the Portland Metro area and is now living in Lake Oswego. 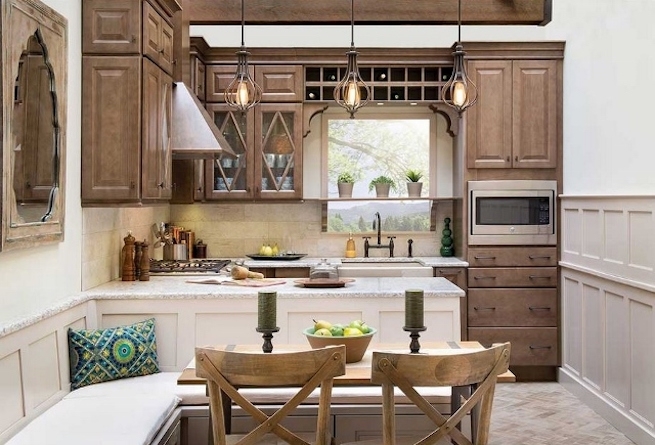 The design team at Lake Oswego Kitchen and Bath has created an innovative process that keeps your project on time and on budget. One thing that we do differently is that once we get the design concept figured out we have multiple options on how to get your dream to reality. This gives you the most options without the confusion and overwhelming feeling of taking on a project like this on your own. Lake Oswego Kitchen and Bath works with Contractors, Designers, and Homeowners in projects all over the Portland Metro area. Besides a local custom cabinet company we have Wellborn, KraftMaid Vantage, and DeWils cabinetry to show you. All of our Cabinetry is proudly Made in USA.